Business Startups are the economic engines that drive innovation and progress in today’s hyper-connected global economy and it’s Startup Communities that are at the center of this revolution. Startup communities are entrepreneur ecosystems. They’re being created around the world in small and large cities like Boulder Colorado, Vancouver, Iceland and Russia to name just a few. These communities are driving innovation, creating jobs and invigorating small business energy. Simply stated; start-up communities attract and breed entrepreneurs who go on to build companies like AirBnB, Dropbox, Sendgrid and many, many more. Squamish is a small town with big ideas currently going through a transformation. It was once a forestry town that’s now transforming into an outdoor recreation tourism destination. It’s challenged in finding ways to create local jobs and to evolve into a sustainable, self sufficient community. The population is growing quickly but the local job market is not keeping pace. 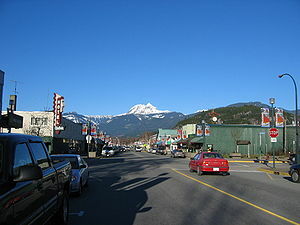 Squamish is my community, I love this place and I want to see it succeed and prosper. It’s beautiful and has the ability to provide what I consider the best work-life balance opportunity in Canada. That may sound biased but for me and many others, it’s the truth. There’s an abundance of great activities at our doorstep and this is what mainly brought me to Squamish in the first place. However, the challenge to completing the work-life balance equation is local jobs. Like me, there are many people that commute to Vancouver or Whistler for work and therein lies the challenge. How do we create jobs and transform Squamish into a great place to live, work and play? The solution to me is simple in theory. Jobs come from businesses and businesses come from entrepreneurs so it seems logical to me to find, attract, nurture and support entrepreneurs. One proven way to do this is by establishing and growing an inclusive startup ecosystem. Startup communities are not something new. Author, entrepreneur & investor, Brad Feld is the co-founder of TechStars; a mentor-driven business accelerator in Boulder Colorado that has succeeded at building one of the most successful models for startup communities. Boulder has an incredible Startup Community. Brad’s authored several books including Startup Communities, Do More faster, and Venture Deals. All great books I have read and that have inspired me and given me great knowledge and guidance on this subject. To get a better understanding of exactly what I’m talking about, this great video gives a quick explanation of what a startup community is and what it needs to be successful. These lessons can be applied in Squamish or anywhere, to establish a local vibrant startup ecosystem. It takes long term commitment. (20 years) Creating a entrepreneurial ecosystem is a marathon not a sprint. The entire entrepreneurial stack needs to be engaged. What’s being done for startups with Techstars in the past 7 years is fascinating and exciting in that the mentorship-driven accelerator model is and has been duplicated in over 1000 local communities around the world with great success. Techstars has helped fund over 100 companies a year, and they have more than $70 million under management. If Squamish wants to create a sustainable economy well into the future, it needs to look at new solutions for creating jobs and I feel that creating an active, vibrant startup community is a long term solution to our present day challenge.